Introducing iOS Universal Binaries - Page 7 — Welcome to the GameSalad forum! I'm having the same problem. For some reason the scene always resets origin.y to 0 when run. This works great for a normal sized iPad 1024x768 scene, but I'm not able to get this to work with a scene that is oversized (3072x2579) and using a non-scrollable layer. Anybody else tried this on an oversized scene? And before that resize all scene to 2048 of width, if you dont do that, all actors near to old limits of scene could be destroyed. Darren have made a great project. I`m using a values from devices size instead of 480 or 568. I have to test it on more real devices, but at this time works on iphone 3gs, 4g, 5, and ipad 1 and 2. Its the same of resize to ipad techniques. Okay, if you have a project, and it uses an oversized scene, and you have UI elements that are on a non-scrollable layer, and you want it to work right with the new UB feature, you use the sizing rules posted here already for cropping, but you also have to put an offset in the UI elements that are on the non-scrollable layer, because they don't translate with the camera offset. And each individual element has to be scripted. create 2 actor attributes to track the self positions (x,y) of the element, for this example we'll name the attributes "StartX" and "StartY"
Those numbers worked for offsetting my UI elements, but may need to be slightly altered to fit your specific project. Thanks to @tenrdrmer - He gets all the credit. Nice one, @SlickZero & @tenrdrmer. Thanks guys but to be fair I only worked out the iPhone 5 size on that project for him. @slickzero did the rest all on his own. Can someone please explain what exactly changing the platform in the project info tab actually does. It appears that its not just changing all the scene sizes and camera sizes to the particular platform. The simple change cam.size.height and cam.size.width to 768 and 1024 for example performs the stretch technique when changing the platform to iphone, but not with ipad platform selected and then manually changing to iphone in preview. Hope this helps but i need to do some testing on devices to clarify. Ok. I'm missing the connection between the screen width, camera height, and origin. With this we can also stretch to fit on multiple android devices as well as kindle and nook. How are you getting those numbers? Just testing? or is there a calculation for it? @SUMinteractive right now I believe it is based on testing. Though I've been playing with it a lot and I think the right math wiz could likely work this into an expression. Also android is not necessarily as big of a deal. its been my experience most android devices are on similar aspect ratios so while the screen size themselves are different using a letterbox setting is not a big issue as the letter boxing is normally tiny across those devices. @denimshark Awesome stuff. I like your solution very much. 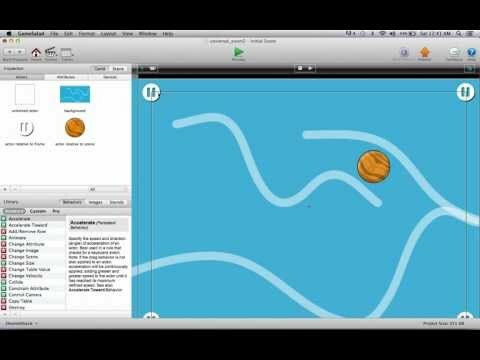 How did you get the y position for the crop marks in Gamesalad? Great vids! What is the px size of your adobe illustrator 16:9, 3:2 and 4:3 images in your videos??? My game was originally made for iphone but I used our resizer to convert to iPad so without having a play I'm not sure on the numbers. I have tried resizing my landscape iPhone project with your resize tool but can't get your technique to work. You say you used it on your project? So on the iPad w. Retina a 16:9 2732-by-1536 image will have 684 px chopped off? Which is 684/2= 342 px on left & right (when in landscape mode)? Simple math tells me same happens on iPad & mini as the screen is half the size of the iPad with Retina. But what happens to on the other screens (iP4&5) how much is cut off of the 16:9 2732-by-1536 image? @saladstraightshooter just wondering if the camera offset bug was being looked into, or is it not really a priority? I recently updated one of my games with UB and i noticed that Play Heaven doesnt work,i dont know if its just me or if someone else having this problem. Here the link of may game! Same problem. Should we expect a fix? Ok, i have a project based on ipad portrait, could i convert it to iphone, keep it cropped as ipad was, and add a bigger background picture to fill the black bars? is this possible? very cool guys. I'm leaving my current apps as is, but will transition with future apps! This is exciting! Just leaving a file here for y'all. I saw someone asking for the numbers needed to get the UB working from iPhone instead of iPad. I apologize if this has already been solved. Sat down for a few minutes the other day and plugged in some numbers. Hope it helps. This is great for my future projects but my project I have just finished (iPhone landscape project ) has scenes with control camera actors in, and I can't seem to get any of these techniques to work. 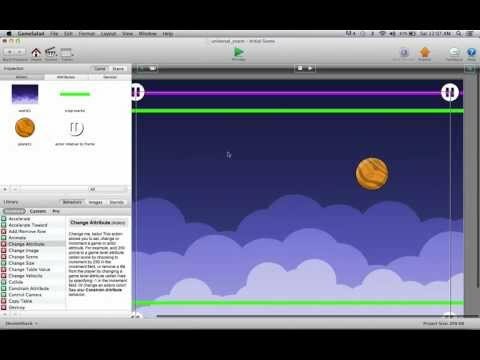 Does anybody know how to get the camera offset trick for universal builds to work with the camera control action for a platformer? Solution made by DeepBlueApps and video presentes on gshelper seems to work great. But what if I am going to make a game only for iphones and my base platform is iPhone5 portrait? What kind of math should I use to make it work properly on iPhone 4 portrait? @UltimateCreatives - Try this one.